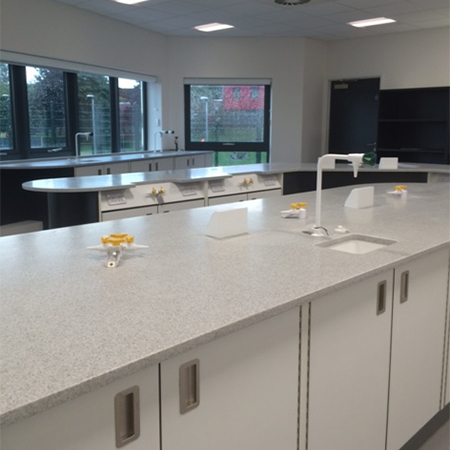 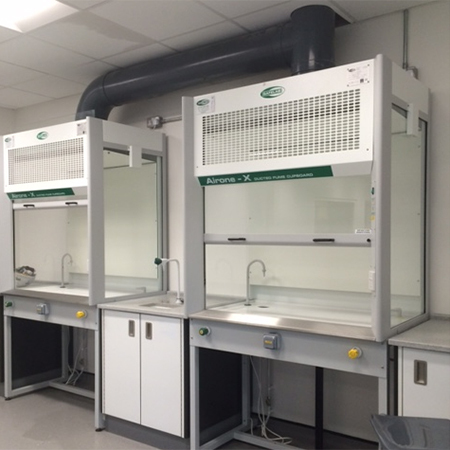 TS Booker recently completed a new Science Lab for West Nottinghamshire College University. 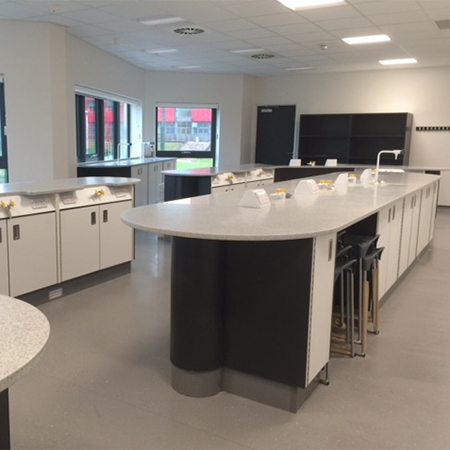 The new science lab completion features island benches, perimeter benches, 25mm velstone solid surfacing worktops, tray storage units, fume cupboards, chemical store, sink units, seating, cloakroom and more. 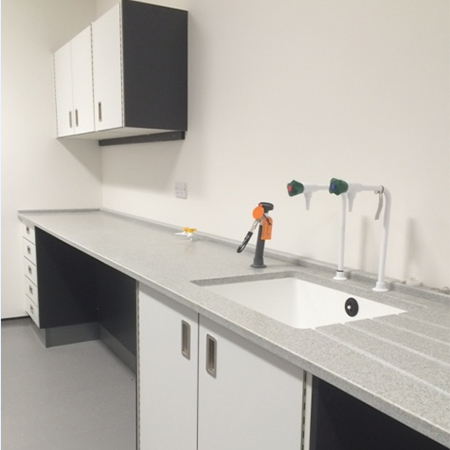 All units were designed, built, delivered and installer by TS Booker.